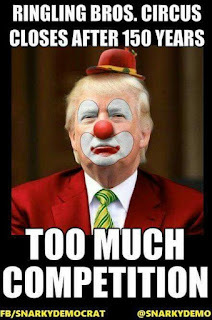 Ladies and gentlemen, you are watching world class verbal acrobats perform in Trump's new Three Ring Circus: America First. In the first ring we have reports of Trump's Campaign colluding with the Russians during the election. In addition, there's also Thump's false accusation that Obama tapped Trump Tower during the election. In the second ring we have Chump's attempt to install a Muslim immigration ban. And the third ring is featuring the recently released "America First" Trump budget. 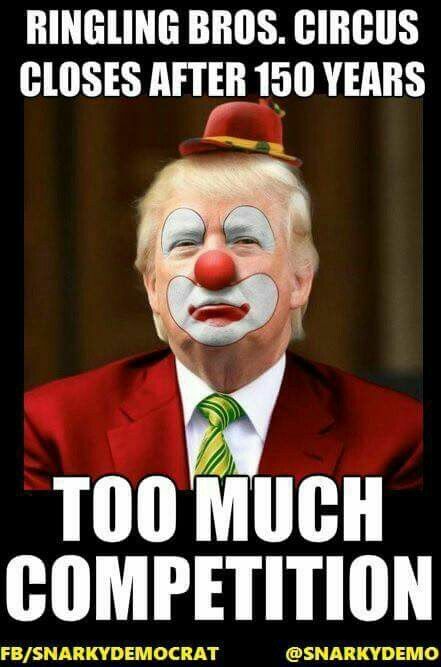 As far as I can tell Trump's circus is going to be performing for four years, or until the show is cancelled.